We’ve seen them on television, read about them in novels and heard stories about them. 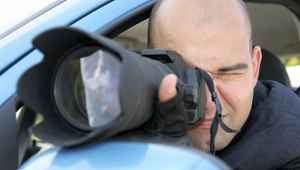 Of most the law enforcement personalities, private detective is mainly portrayed as best. Intelligent, cocky and brush individuals that can spot things an entire police division can miss during investigation. They can solve cases that are ‘cold’ and have already been abandoned. And they certainly have an exciting action filled life. However, is this really the truth? Is that how the life of a private detective is? Unfortunately, most of it is Hollywood fiction. Are you aware of the following myths and misconceptions about the work of a private investigator (P.I.)? In reality, a private investigator has as much authority as local citizens. They cannot trespass on private property or crime scenes unless authorized by the actual authorities. They cannot legally obtain search warrants and are never above the law. In the presence of a criminal, they can only make a citizen’s arrest. If caught bending or breaking the law, they are liable to get arrested and prosecuted like every other citizen. They also cannot carry any firearms or ammunition unless licensed to do so. It is always exciting to be a P.I. For most individuals, the life of a P.I. is that of adventure, action and high octane drama. This is not necessarily true. Private detectives, like all law enforcement personnel spend quite a large amount of time on paperwork, whether for research or filing findings. They spend a lot of time on surveillance and general interviews, a boring part of their life which is hardly ever publicized. A P.I. is actually a law abiding citizens that spends his time solving cases assigned to them within the legal framework and confines. As they can face arrest, trial and prosecution, they always keep their activities within the allowances of the law at all times when solving cases and gathering information during surveillance work. Private investigators cannot access confidential and private government records irrespective of how good they are. Some of them have connections to law enforcement authority that they contact in case they need such information. They are also prohibited from conducting wiretaps and listening to private conversations. They have no access to medical records, credit card records, police surveillance records or other information gathered by government agencies or private institutions. Contrary to popular belief, a lot of private detectives dress up in an ordinary fashion so as not to attract attention to them. They always try to blend into the background by wearing what most people are. This is an effort to ensure they can successfully conduct surveillance and tracking without being spotted or singled out by the individual under investigation. They don’t always put on trench coats, sunglasses, fake mustaches and weird hats. Badges are also quite uncommon among private investigators except if they work for fully licensed security firms. Do you need the help of a private investigator in Perth? We can help you with a wide variety of cases so contact us today to find out more.